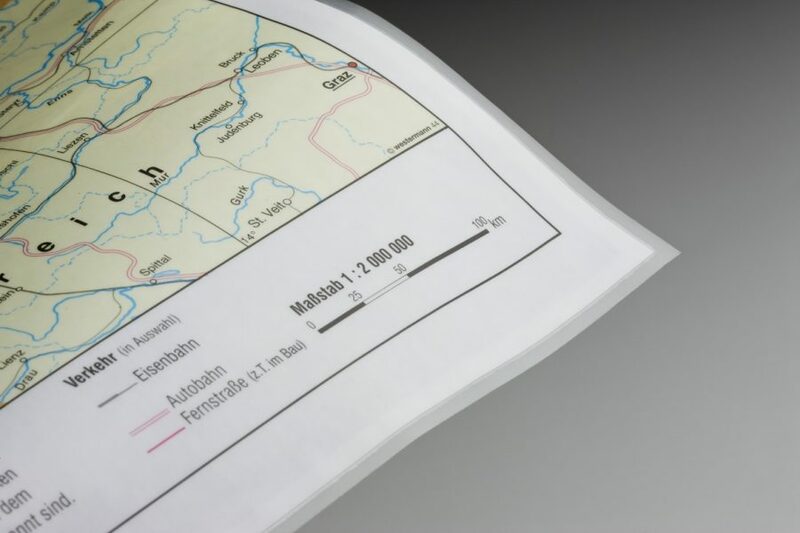 Ideal for protection of maps, plans, etc. in addtion to books. Can be folded and written on with lead pencils, wax crayons, colour pens and felt pens. Particulary soft and non-reflective.